Our Leadership - DatocWitten Group - Strategic Event Planning and Fundraising. Lisa is a seasoned professional who brings over 20 years of experience in strategic event planning and public relations to DatocWitten Group, Inc. She has a proven ability to satisfy the needs of clients through fundraising, designing event programs and recruiting high-level participants, managing and directing volunteer committees, writing text for printed materials, crafting messages and speeches, directing stage programs for events, and negotiating with and managing vendors to ensure the success of a project. Lisa provides her corporate, non-profit and government clients with the strategic advice and counsel needed to build special events that are targeted and attractive to their key constituencies. Lisa began her professional career earning several sales and marketing awards as a branch manager for a predecessor to Bank of America. She also spent time in the financial analysis division of Bristol-Myers Squibb, where she honed her research, writing and presentation skills. 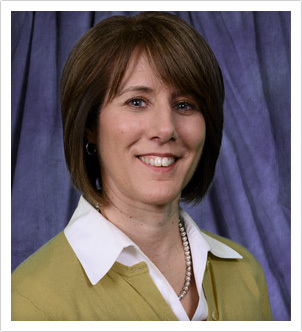 Lisa served as the Assistant Executive Director for the March of Dimes National Capital Area Chapter, where she managed the staff, fund raising projects and operations of the $2.5 million entity. Immediately prior to co-founding the DatocWitten Group with Barb Witten, Lisa spent 14 years at Hayes & Associates in McLean, Virginia, where she served as Chief Operating Officer and was a minority partner. A two-time graduate of the University of Virginia, she received a bachelor’s degree in Liberal Arts and an MBA from the University’s esteemed Darden Graduate School of Business Administration. When she is not working on her clients’ missions, Lisa can be found at an ice rink working on her children’s missions – perfecting their hockey and figure skating skills. Lisa lives in Northern Virginia with her bicycle-riding husband, her figure skating daughter, hockey-playing son, and their lovable remote-control-eating Black Lab, Brooks. FUN FACT: The middle daughter of a U.S. Army Colonel, Lisa was born in Vicenza Italy, learned to ski in the Alps, and learned to play tennis on clay courts in Würzburg, Germany. Barb is the driving force behind DatocWitten Group’s fundraising successes. She is responsible for conceiving fundraising strategies, fundraising project management, making key introductions to new prospects, committee development and management, and directing and overseeing the work of the Development Associate and the Database manager. 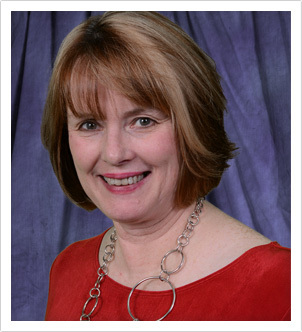 With over 20 years of senior nonprofit management, organizational and resource development experience, Barb’s skill set includes strategic planning, capacity building, major gift and corporate development programs, special event fundraising, and the formation of national fundraising networks and board and donor relations. Her leadership experience includes eight years as CEO of a nonprofit voluntary health agency. As a partner at Hayes & Associates, Barb executed fundraising engagements for more than eight years. She consistently raised $10,000,000 annually for many leading national and local nonprofits including the American Association for People with Disabilities, American Red Cross, March of Dimes, Fisher House Foundation, National Defense University Foundation, USO, Tragedy Assistance Programs for Survivors, and Center for Global Development. Throughout her career, Barb’s priority has been the development and execution of strategies designed to secure resources to achieve the greatest mission impact. Barb is a believer in the philosophy “that which gets measured, improves and grows” philosophy, and she applies this disciplined approach to goal setting and donor prospecting, cultivation and solicitation. Prior to her career in fundraising, Barb spent many years in the private sector working for Arthur Anderson & Company. She is a former member of the Board of Directors of the Family Mental Health Foundation, National Health Council and the National Organization for Rare Disorders. Born and raised in Washington, D.C., Barb studied at St. Mary’s College and American University and currently resides in Annapolis, Maryland with her husband of 37 years. FUN FACTS: Barb is a travel, food, and wine enthusiast. When she’s not blazing fundraising trails on behalf of her clients, Barb enjoys spending her own funds on behalf of her four grandchildren (and spoiling them rotten).